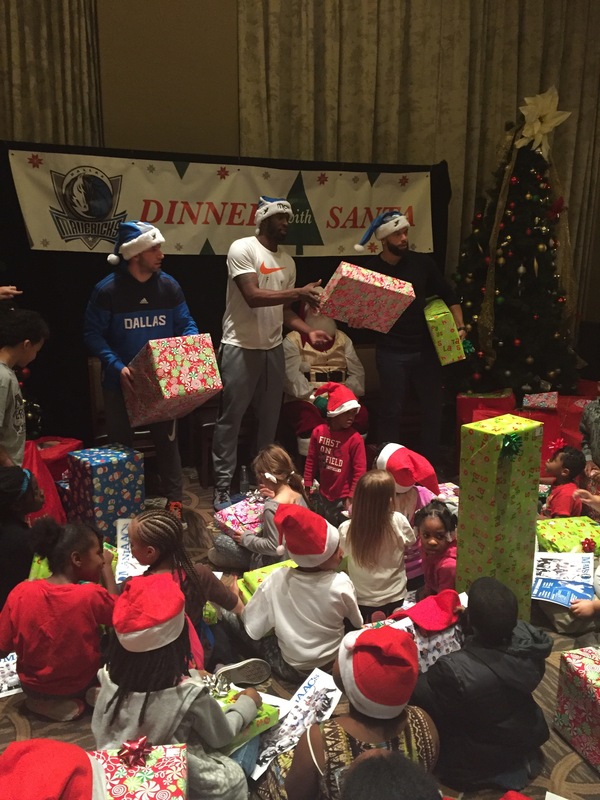 Continuing in the spirit of NBA Cares Season of Giving, Dallas Mavericks Deron Williams, Wesley Matthews and JJ Barea hosted Dinner with Santa, Tuesday inside SER at Hilton Anatole. 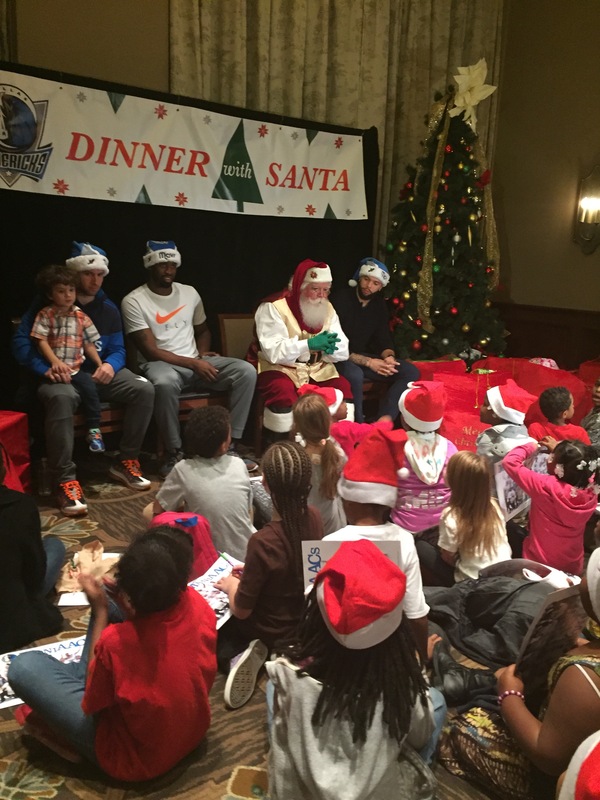 JJ Barea and son, Wesley Matthews, Santa and Deron Williams prep for story time. 50 children and their moms from Center of Hope, Dallas Life and Promise House rode in style on the FOX Sports Southwest Mavs Express Bus, to enjoy a private dinner at SER, compliments of the Hilton Anatole. Champ the Mascot, Mavs ManiAACs and Mavs Dancers entertained while the children took part in holiday crafts before story time with Santa, and receiving gift from their wish list from the Mavs players. JJ Barea, Wesley Matthews and Deron William giving out gifts. Notably the best part of the evening was hearing the joyful sound of the children tearing into gifts selected just for them. Deron, Wesley and JJ Barea oohed and ahhed along with parents taking delight in the reactions.